This has been a weird spring for us. Normally by the middle of April, we’re able to start swimming, but this year, spring has hardly begun and temperatures have been mild. We’ve been celebrating by doing a lot of STEM activities for kids, making rainbow projects and rainbow food, making spring flower crafts, exploring nature, and learning about bugs. 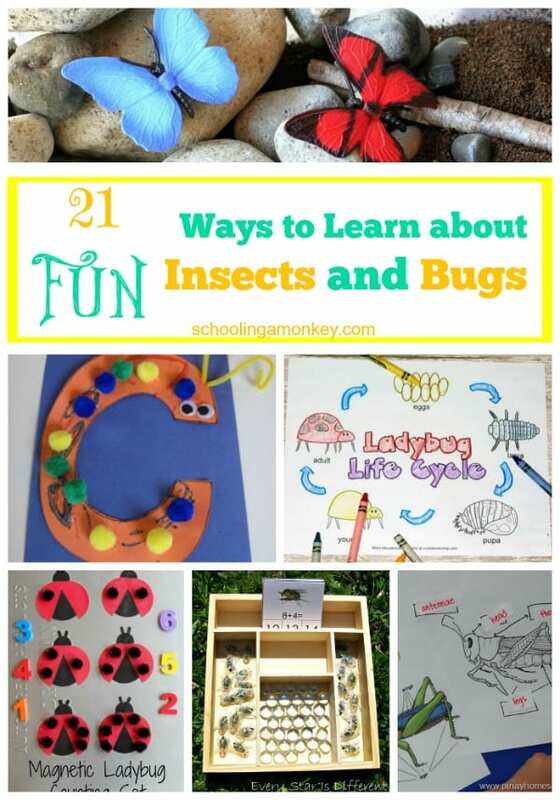 A lot of other bloggers have some amazing ideas to learn about insects and bugs. Mokey and Bo are both fascinated with bugs right now, so these projects are right up our alley! I like to focus on easy crafts for kids that are also educational, when possible. 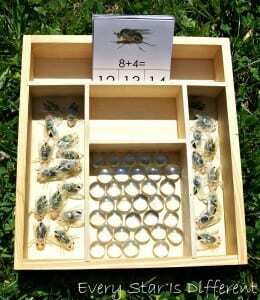 These activities to learn about insects and bugs fit these criteria perfectly! I love simple projects that kids can complete without realizing they are learning anything. 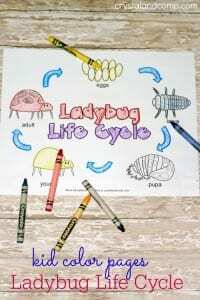 These ladybug life cycle pages fit the bill perfectly! A lot of kids are obessed with do-a-dot activities. I love this set with bugs. 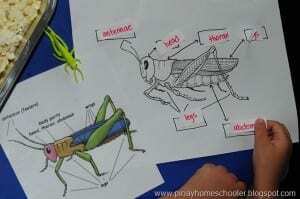 A lot of ways to learn about insects and bugs focus on younger kids, but older kids like Monkey will also enjoy more complicated projects, like this version of insect classification. Bo loves pretending to count and opening things, so she would be all over this butterfly activity. 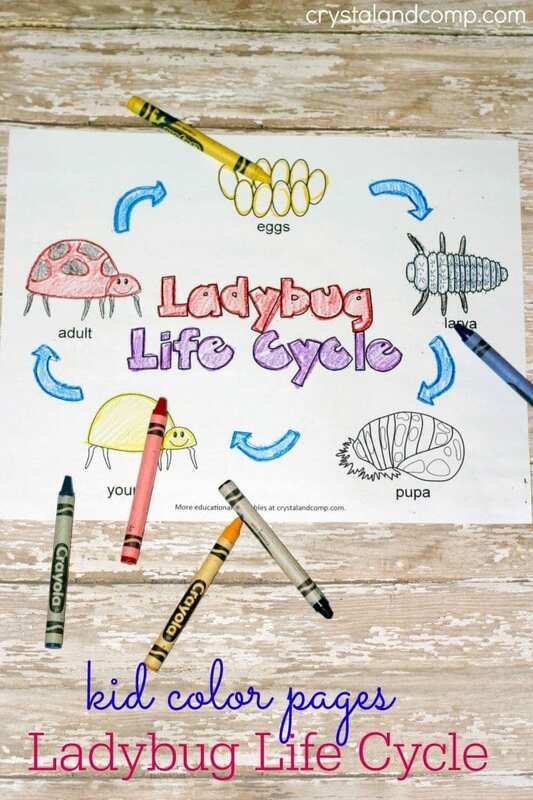 These printable bug activity sheets would keep my kids busy just long enough for me to work in peace for 30 minutes or so. 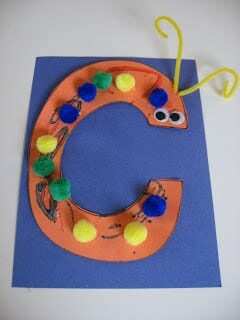 Right now, Bo doesn’t recognize letters from numbers, but she would still have a lot of fun with this activity anyway! After you are done with B, C is the logical letter to study. I love printable packs with multiple pages, like this insect printable pack, becuase my kids suffer from a bit of worksheet ADD. They need more pages to hold their interest! Plus, I can have a sheet, too! I love how adorable these little bugs are. We need to save up some bottle tops so we can make our own little buggy pets! Bo would love counting the different links on this pool-noodle caterpillar. Bug hotels are a great way to study bugs up close. I could see Monkey and Bo spending hours examining little bugs at the hotel. Another game for Monkey and Bo to play together. They would love counting the fuzzy dots together. Grasshoppers aren’t as popular as some of the other bugs. This unit study focuses just on them. A lot of bug projects don’t use real bugs (and for good reason), but sometimes, you just have to look at real bugs! 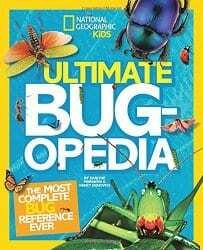 I love how Amy turned real bugs into a learning experience for her children. 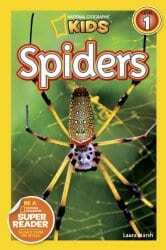 For older kids like Monkey, there is so much to learn about insects! This unit study offers dozens of ways to use bugs for education. 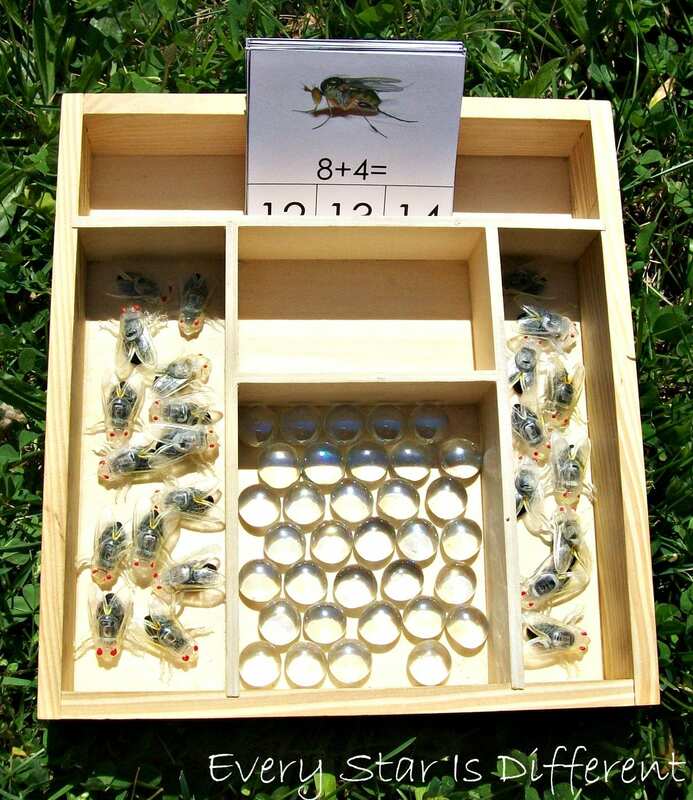 These bug choice chambers make your bug study full of science and math! 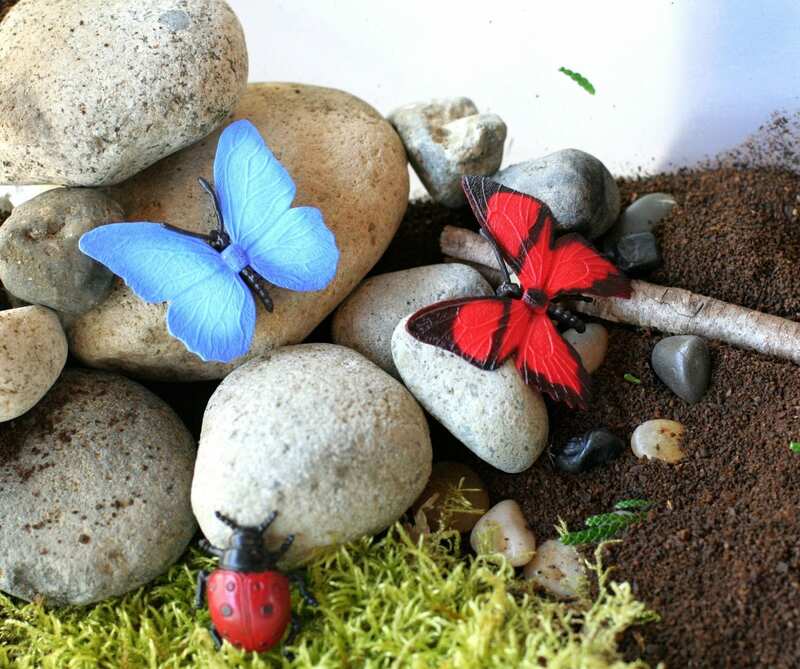 If playing with real bugs makes you squemish, build this faux insect world instead! We had a lot of fun when learning about ant anatomy. This lesson is inspiring me to go over it again. 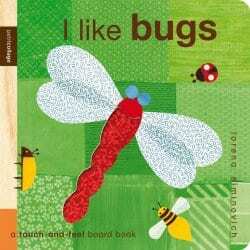 This bug unit study is Montessori-inspired. I love the extra printables included with this study! There are so many creative ideas in this study. I love the creativity in these ant maze printables. A great way to hone fine motor skills! 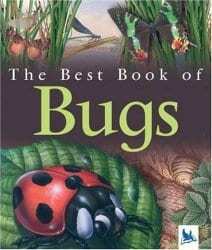 We love these books for learning about bugs and insects! 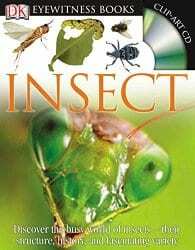 What is your favorite way to learn about insects and bugs? Share with us in the comments! We are always looking for new ways to learn! 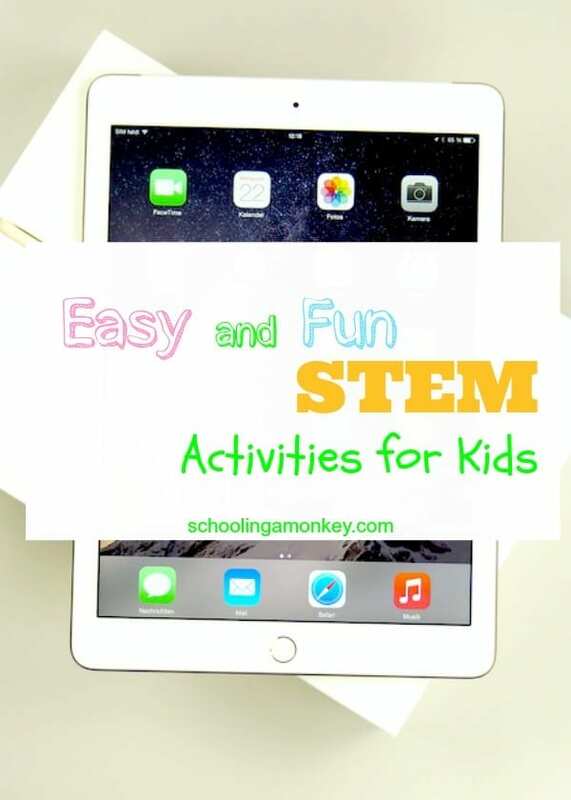 Don’t miss these other fun STEM activities for kids!